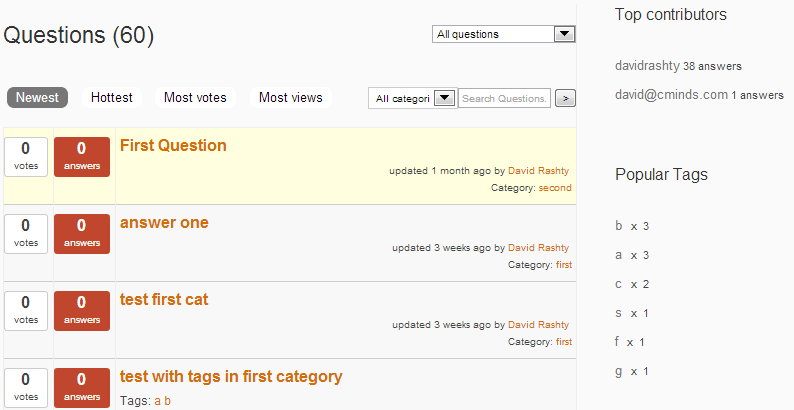 The WP Question List page displays all the inquiries which have been posted on your WordPress discussion forum. You can customize the list to display questions according to your own predefined settings directly from your WordPress admin panel. Our WP Question list page includes several filters that allow users to organize questions according to relevance or personal preferences. Questions can be rearranged according to: most recent, most voted and most viewed. 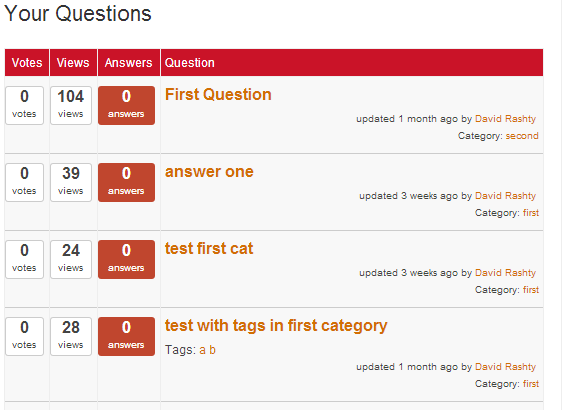 In addition, users can filter questions to display ones that are still open and have no responses yet. Administrators can define which questions are sticky. This sticky option places your featured inquiry on top of the question list page. 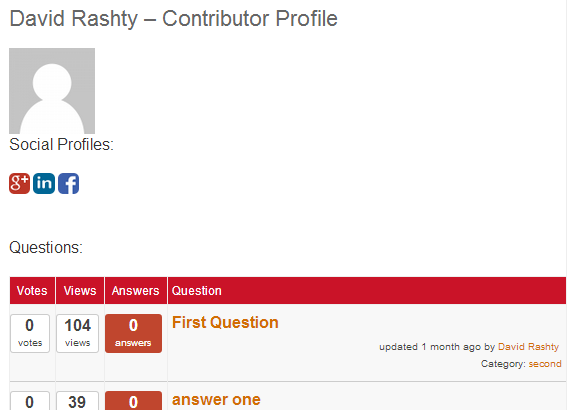 Beside each question posted are the details of the user that had posted the question. Details included show a link to that contributor’s profile, along with a list of all the other inquiries and responses they posted on the forum. The contributor’s page also includes a Gravatar profile and links to social media profiles, in cases where a user has registered to the forum using those social media profiles. System includes a shortcode which can be used to display a list of all inquiries and responses posted by users under that contributor’s profile.